Posted in: Radio Control. 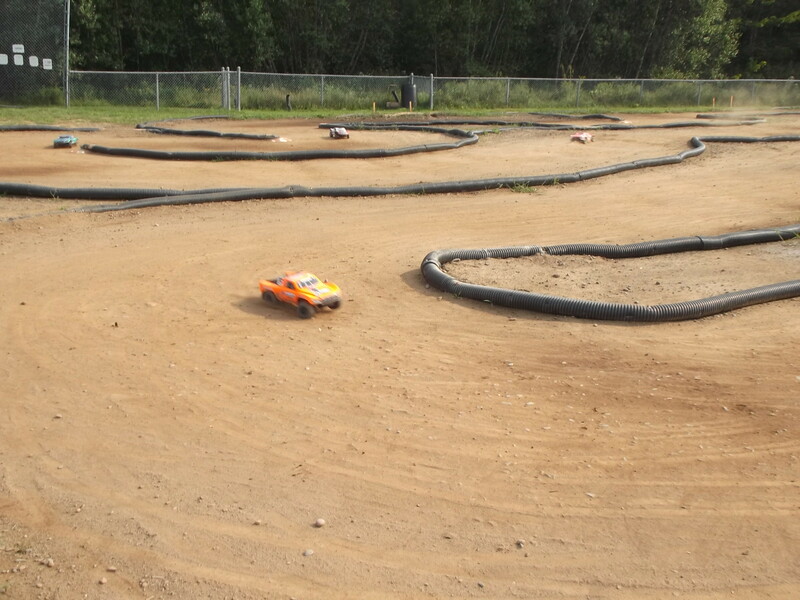 Tagged: Halifax RC Park, Racing, RC Racing. Due to the recent heavy rains, this event is postponed until Saturday October 10th at 11am. Please register by Oct 8th at midnight. On Saturday October 3rd at 11 am we will be offering another timed session at the Halifax RC Park. This session will include a 40 minute open practice followed by a 5 minute race. The starting grid we be determined by each drivers best practice time. Each session is limited to 8 vehicles on a first come first serve basis. The cost is $10 and will be charged the day of the event. 50% of the proceeds go toward the Halifax RC Park and the other 50% is used to support local RC programs. Based on interested we may offer second session on the same day. So come on out and put down some lap times and get the feel for what an actual race is like. All skill levels are welcome as we continue to build toward something more regular and formal next year. Here is what you need to do to. 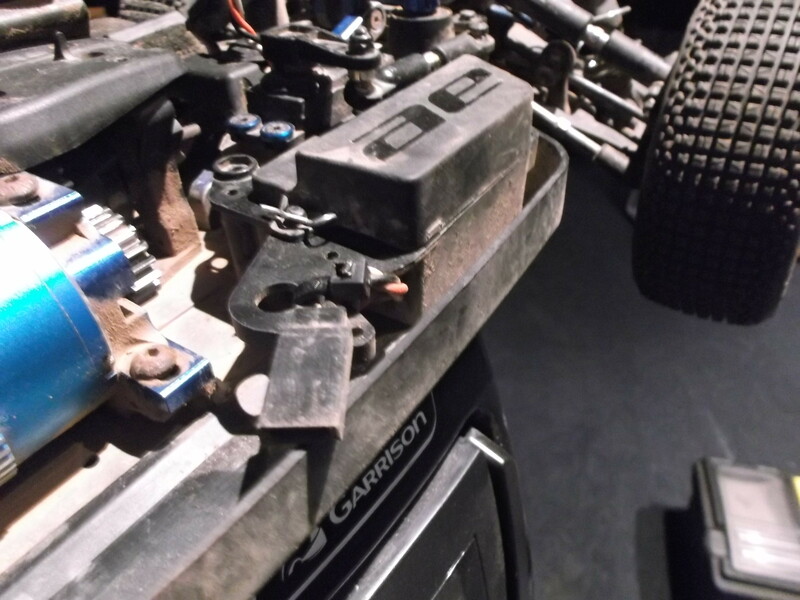 We use the DirtChamp Design Timing system and this will require you to make some small changes to your vehicle, some of you may want to use an old body. Here is what you will need to do that will make things much easier for you at the session. Email us by Midnight Thursday October 1 , 2015 at sackvillerc@eastlink.ca. 1) Put Timed Session in the subject line. 2) Tell us what vehicle you plan on bringing. If the numbers permit, we will keep similar vehicles in the same session. 3) Tell us if you are interested in a second session. Advanced registration will help ensure that everyone that shows up will be able to have a timed session. You will need to drill a 13/64 hole in the right side window. The transponder is then taped to the inside of your body to hold it in place. This part will be done at the track. 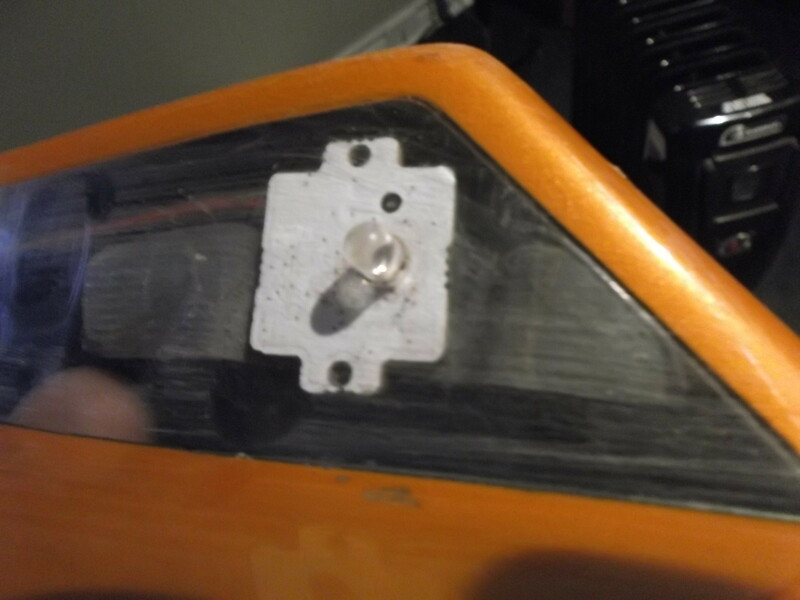 The eye of the DCD Transponder goes through this hole so the DCD Receiver can read your lap times. 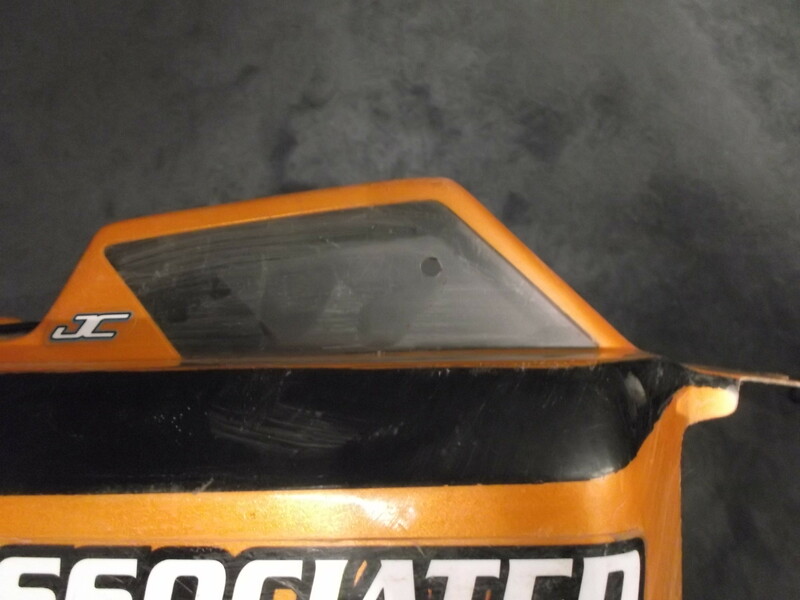 On your RC vehicle remove your receiver cover if you have one. Connect a short servo extension wire into a vacant channel on your receiver. Run the wire though the same hole at the other wires. You will only need enough wire outside of the box, to reach the right side of the vehicle. This usually about 2 – 3 inches. 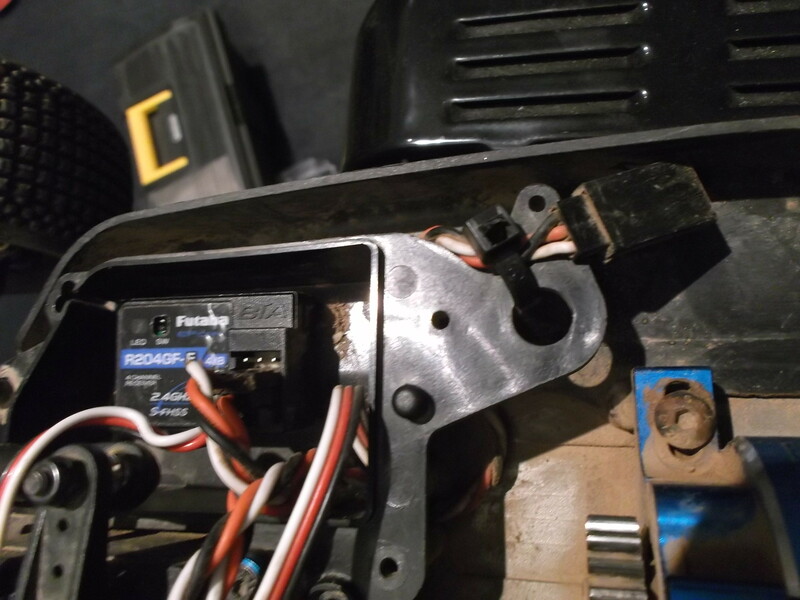 The rest of the wire should be coiled up inside the receiver box and the box cover put back on the vehicle. 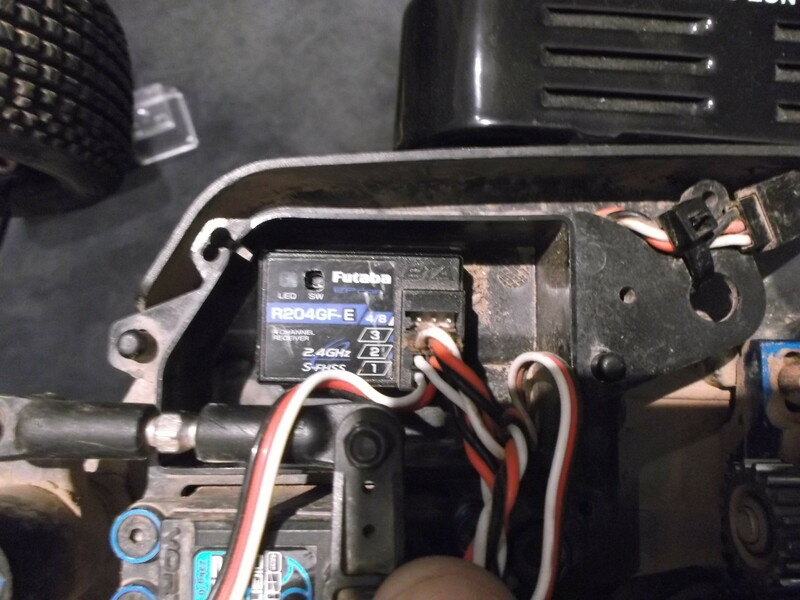 This will give you a quick connect and disconnect between your vehicle and the DCD Transponder. It also greatly reduces the risk of damage to the DCD Transponder. Locally, you can pick up a 15cm servo extension wire at Mighty Small Cars for about $2.00. If you don’t have the tools required to do the mods let us know in advance and we can take care of you on Wednesday night. If you have a DCD Transponder just let us know and bring it along. Please know your code. Sorry, the AMB Transponder is not compatible with the DCD Timing System.